7450 Laguna Court, Melbourne, FL.| MLS# 841937 | Free Brevard County MLS Home Search. No Agent Needed. Daily Auto-Email Listings of All Brevard County Homes and Listings For Sale That Meets Your Home Buying Criteria. Brevard County Real Estate Market Information. 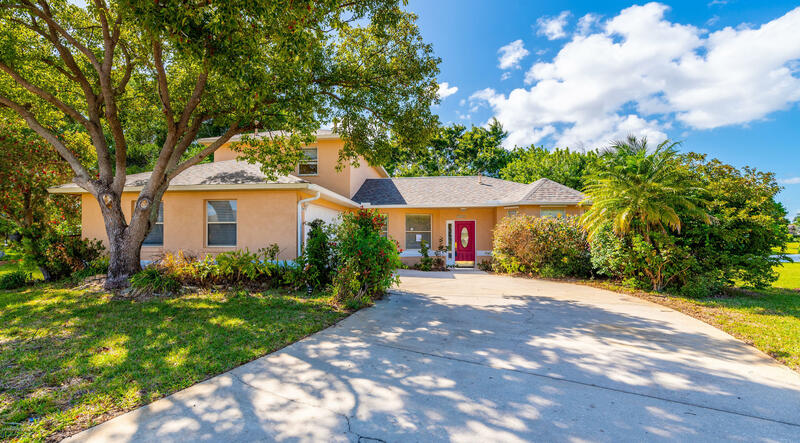 Suntree pool home tucked away on a cul-de-sac street with peaceful water views! This home features a brand new roof, new exterior paint, and new exterior doors. It is ready for your personal touch. Open concept floor plan and loft area upstairs. The kitchen has a breakfast nook space. Screened in pool has rock and waterfall feature. The backyard has shade trees and lovely water views.